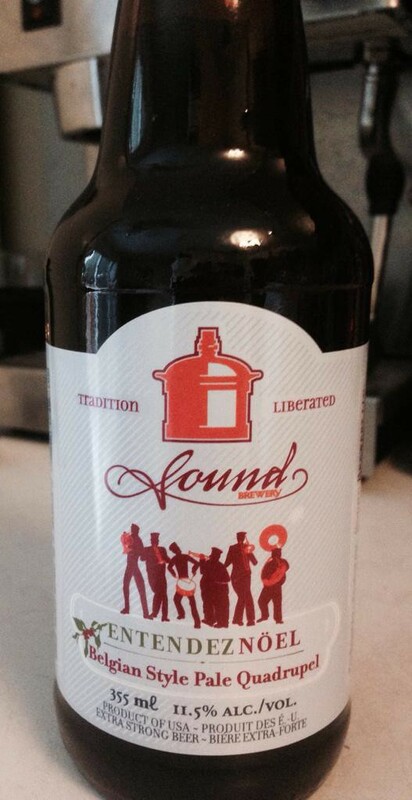 Description: This special seasonal release is part of the Sound brewery’s Belgian-style lineup. It is fashioned using Belgian Pilsner malt, bittered with Motueka hops, and then fermented with cane sugar and Trappist yeast to create a strong, fruity, hoppy, and balanced quadrupel. Tasting Notes: Another Advent Beer Calender offering, one which comes from Washington and is Belgian-inspired. Like a good quadrupel, it delivers in the flavor department with plenty of strong malt, brown sugar, and dark fruit flavor. However, there is also an interesting twist added by some Pacific Northwest hops that add some pineapple notes and hop bitterness. And of course, its got quite the alcoholic bite, but manages to remain smooth and fruity throughout. Description: The latest addition to the brewery’s regular lineup, the Audible Ale is the result of a collaboration with sportscaster Dan Patrick to create the ultimate sports-friendly craft beer. Combining a lighter alcohol content with a mild hopping, this pale ale is brewed with drinkability in mind. Tasting Notes: This beer was a bit on the light side for my taste, but given the focus on drinkability, this was not surprising. While the hop flavor is a bit subdued, it does have a pleasant malt character that is in keeping with a good session ale. It also finishes clean and is quite refreshing. This is the third and final beer from the Red Hook sample pack, and it was an all-around good drinking experience! 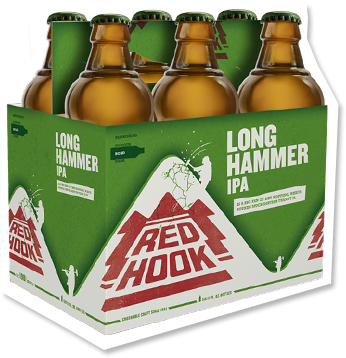 Description: As part of their regular lineup, Red Hook has been brewing this classic Northwestern-style India Pale Ale since 1984. Moderate in terms of alcohol and hop content, this beer is bittered twice – both during the boil and then dry-hopped for a dry finish. Tasting Notes: This here IPA is the second offering from my sample pack, and it is the firs time I have ever sampled it. On the lighter side, this beer still has everything one would expect from a Pacific Northwestern IPA. This includes a rich, semi-sweet malt base and a good dose of citrus and piney hops. And of course, the dry-hopping adds an extra dimension of drier, grassy notes. Two down, one to go! Description: As part of their regular lineup, this brew is fashioned in the style of a traditional British ESB. A mainstay of the brewery since 1987, it is fashioned using (what I assume are) caramel and amber malt, and lightly bittered with a combination of dry, earthy, and citrus hops. Tasting Notes: This is the second time I’ve tried Red Hook’s ESB, which I first drank while visiting family in Seattle back in 2011. This time around, I am drinking it as part of a sample pack sent to me in exchange for an honest review. And honestly, I was quite pleased with the natural balance it struck. Smooth caramel malts mingle with dry, earthy and mildly citrus hop flavor, before finishing with a tang of minerals. In may ways, I was reminded of a Marzen. And, given my predilection for that style, that’s not a bad thing.